Royal Paper Industries is acknowledged as the most promising Manufacturer and Supplier firm specializing in Fully Automatic Making Machine. 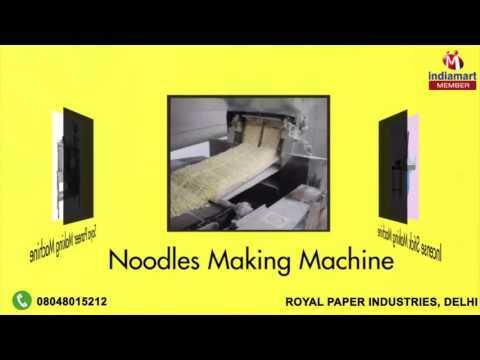 Our unique ability to develop innovative machinery equips to offer a full spectrum of high performing machinery, including Fully Automatic Paper Napkin Making Machine, Noodles Making Machine, and Candle Making Machine. Our developed product range is aimed at helping our prestigious clients to add value to their business, as it features a huge line of benefits including rugged construction, user friendly operation, optimum performance, low power consumption and maintenance free service life. Major contribution in our groundbreaking performance is our proficiency to work closely with our discerning clientele, which indeed helps us to cater to the requirements of wide spectrum of small scale businesses in a cost effective manner.